Welcome to the start of another week, this weekend has been rather quiet on the email front, with only a couple of enquiries from our US readers, but we have had a new one from Finland. 0034 951203065 which is a Malga code and a UK Number 02035827586. Once again the call centers around a fictitious court case which the consumer knew nothing about, with the court awarding a substantial amount of money to the consumer, around £20,000. Wonderful news! The caller from Ross & Harper explains that the court will be paying the money out on a certain date, with the caller offering 4 options on how to get this money. According to the caller the best option is for their solicitors to do the work and get the money for the client. But as usual there is a catch! In this case the client must pay by bank transfer (always a dodgy move), around £2,500 with a further £6,000 to be paid once the client has received the cheque from the Spanish bank. It must be said that the cheque will never arrive as this is not genuine. Having done a little research on Ross & Harper, no website can be found, but by coincidence a company registration has been found for a Ross & Harper SL based in Mijas. This company was only registered about 4 months ago on the 10 January 2018, with the company registration number CIF B9391915. This comercial center is situated at Calahonda on the main N340 and it is the entrance to the campsite Camping Los Jarales. This address was used back in 2016 for another cold calling scam, this one was a supposedly a new bank call ESol, again they had money waiting to be paid out, but first a substantial sum needed to be paid to their lawyers by bank transfer. Another company at this address is called Victoria Services Legal SL, CIF number B93597839, again only just registered on 7 February 2018. 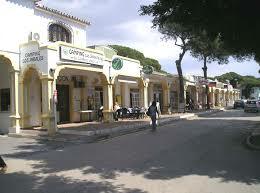 As with Ross & Harper their registered area of trading is INMOBILIARIAS Y SIMILARES or Real Estate and Similar. Which does not seem to have anything to do with timeshare, claims or legal work. The names of the directors for both companies are also rather strange. Victoria Services Legal: GOMEZ KANTUTA MARIELA (again a strange name considering the use of an English company name, even though in English we would say Victoria Legal Services!). So the question is, could Victoria Services Legal SL be the next cold calling company to come up on the radar? If you have been contacted by these companies, claiming that money is waiting to be paid out for your timeshare, remember there isn’t. Unless you have employed the services of a genuine legal firm, have had all your documents translated, had notification from the court that your case has been accepted and then gone to trial, along with the chances of you having to attend, then don’t fall for it. Contact Inside Timeshare if you have had a call of a similar nature to this one, or are contemplating doing business with any company that has either contacted you or you have found on the internet and are not sure if they are genuine, use our contact form and we will point you in the right direction. Friday’s Letter From America is from Irene Parker, written from Poco Diablo Resorts, a Diamond Affiliated property in Sedona, Arizona. Irene thought our EU readers would like to hear about an unusual travel activity that takes place annually in Sedona, one of the most popular tourist destinations in America, south of Arizona’s Grand Canyon. Irene said she received good value for her Diamond points. All timeshare members should remember their timeshare math, checking the value of maintenance fee dollars against booking online. Given Poco Diablo’s $13 per night fee for something, and a 13% tax, it was significantly less using Diamond points. She checked into Poco Diablo on Friday the 13th. Inside Timeshare has been asked by Canarian Legal Alliance to issue the following warning. A company going by the name of Abogados Lopez (Gran Canaria & Marbell) is contacting clients and stating they are calling on behalf of CLA. In the call clients are told that a settlement has been reached and a considerable sum has been offered. To finalise the payment of these funds, a processing fee of 10% is required, this is to be paid by bank transfer. Modelo 214: This is a Tax declaration form, it has to be filled in by their Notary on the clients behalf. It is to confirm that the money awarded by the judicial system is non-taxable, but when is arrives into the clients personal account via bank transfer the client must inform the Inland Revenue. Modelo 037: Another form which enables their Notary to set up an online verification account in the client’s name. Modelo 790: Yet another form which gives them authority to enter the clients non-residential NIE number into the fiscal system, attaching it to the clients case file. The client is also told it is only valid for three months. The attached letter in the email has what looks like official stamps and logos, so it does look very official to the uninitiated. They are using 2 telephone numbers, one is a Spanish mobile number: 0034 602 657 670 and a UK number with a Chepstow code: 01291 440500, when dialled this number does not connect, another number that has been given is 0034 951 242 867 which is a Malaga number. Their email address is: [email protected], there is a website but it does not contain any information. The website was registered on 22 March 2018 and is using a privacy service to hide the owners. The address that Abogados Lopez is using is: Calle Teniente C Castillo, Olivares 12, 35011, Palmas De Gran Canaria, Gran Canaria, España. This is yet another fake law firm and is not working with Canarian Legal Alliance and has no authority from them, if you have been contacted by Abogados Lopez and received any information from them via email, contact Inside Timeshare and we will pass on the information to the lawyers at CLA. POCO DIABLO RESORT is a trademark of Poco Diablo Resort, LLC, a limited liability company formed under the Limited Liability Code of the Fort McDowell Yavapai Nation. Those who suffer from the effects of a traumatic event can do one of two things – fall victim or channel outward in the fashion of John Walsh, producer and director of the American television show, America’s Most Wanted, advocating on behalf of homicide victims and their families. Joshua Parker is an army combat veteran alleging he was defrauded by timeshare and told by a company vice president, “We are not responsible for what our sales agents say,” Joshua has joined our advocacy efforts reaching out to military publications to warn veterans, and especially Active Duty military, several in danger of losing their Security Clearance due to timeshare foreclosure. Sales agents, by the words of this vice president, are encouraged to make up outrageous claims to sell vacation points. Inside Timeshare has heard from 42 members of the military alleging they were defrauded by timeshare sales agents. 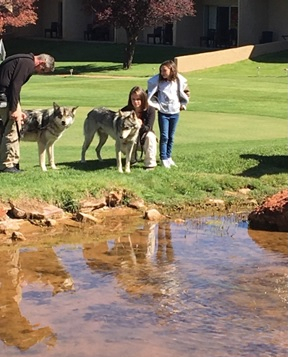 One of the activities during Wolf Week in Sedona was the showing of the documentary, The War In Between. Combat veterans, diagnosed with PTSD and wolves, victimized by illegal trappings, work towards recovery. After the film, we had the opportunity to meet director Riccardo Ferrais and the wolves. 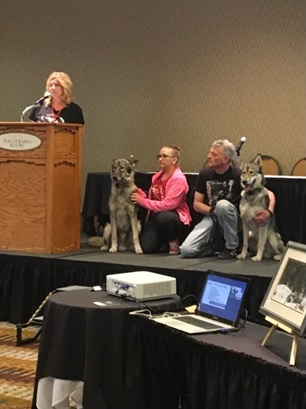 Wolf Week was presented by The Plan B to Save Wolves and Apex Protection Project with Presenting Sponsor Poco Diablo Resort an Enterprise of the Fort McDowell Yavapai Nation. Founded by Betsy Klein and Timon Pratt, the Plan B Foundation is a 501(c)3 corporation created to support organizations and individuals in their mission to protect, preserve and rescue wolves and wolf dogs through advocacy, education and funding. Having spent almost three years now listening to reports from families describing how their lives have been ruined after falling victim to predatory and deceptive timeshare sales, I understood the bittersweet experiences wolf advocates experience on a daily basis. We wish we could win them all too, but reluctant regulators and timeshare developers, who care little how points are sold, allow the hamster wheel of recycled timeshare inventory to continue unchecked. The best we can do for some is guide the member and their family through the painful foreclosure process. Despite what “Get you out of your timeshare” ads advertise, there are no guaranteed timeshare exits. We have had members report being charged thousands of dollars, only to eventually be told foreclosure is a guarantee. Most timeshare members have high credit scores and have rarely been late on a payment, but rising maintenance fees, the lack of a secondary market, and rising fraud have spelled disaster for many families. Inside Timeshare US and Timeshare Advocacy Group™ has assisted 406 families, 148 since January 1. I hear members say things like, “There is never any availability” or “You can always book cheaper online.” My husband and I own 10,200 Diamond points. We used 8,000 points to book two weeks (which happened to be during Wolf Week) at the Diamond affiliate Poco Diablo property. Our first timeshare exchange thirty years ago was at Poco Diablo. Compared to Booking.com, we saved a good bit using Diamond points over booking online. The wolf friendly Poco Diablo resort, of the same name, borders the timeshare Poco Diablo. We usually stay at Diamond’s Los Abrigados resort in Sedona, our home resort, but Los Abrigados was not available this year. We own Diamond US Collection points and Premier Vacation Club points. I’m told PVC members pay the highest maintenance fees. When we asked to use the Spa at Los Abrigados, checking the box that said we were PVC members, we were denied access. We explained that the reason we were not staying at Los Abrigados was because there was no availability and that our maintenance fees went toward the spa maintenance. The attendant said they would make an exception this one time, but advised that we would have more flexibility if we gave up our PVC points for Diamond points. After a ten minute lecture, the attendant said, “Maybe I’ll look for another job.” Diamond advertises Poco Diablo as a Diamond property. 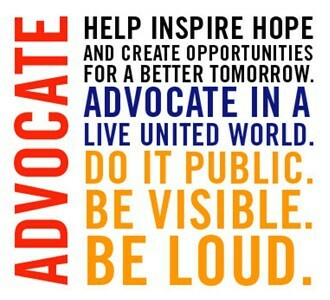 Our advocates are available free of charge. We have saved more than a few members from the nets of scams. We have assisted hundreds of members with regulatory and, if needed, law enforcement filings. 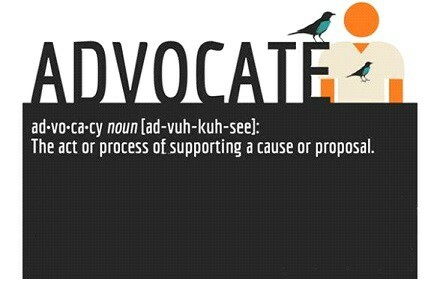 We thank all our advocates for their part in the process, and thank timeshare members for reporting. Without regulatory filings, nothing will ever change. Contact one of these self-help groups we feel are not industry influenced if you need help with a timeshare concern. Thank you Irene, we all hope you and Don had a very enjoyable vacation, although we do know you were still hard at work on behalf of all those who have contacted us. If you have any comments or questions about any article published use our contact page and get in touch with us. Have you had a call regarding your timeshare, be it resale or claims and want to know if the company is genuine, then get in touch and we will point you in the right direction. Join us again next week when we bring you the latest news on the timeshare world, we also hope to have some news about the EZE Group case at Birmingham Crown Court, where Dominic & Stephanie O’Reilly will be told their fate. In this week’s Tuesday Slot with Irene, we welcome another new contributor, Alicja Tandecka from Poland, with comments from Irene Parker. This story is one with a happy ending, so Inside Timeshare is pleased to share this with you. But first we have a quick look at Europe. On the legal side, it now looks like we have two courts where the judges have decided to dispense with full trials and issue judgements at the pre-trial stage. Usually the pre-trial is a general review of the case and the judge will then decide to set a date for a full trial. The Courts of First Instance No 1 & 4, of San Bartelomé de Tirajana in Maspalomas have now in several cases decided that a full hearing is no longer necessary. Their reasoning behind this is very simple, it is a matter of contracts, they are in breach of the timeshare laws 42/98 & 4/12 along with the rulings from the Supreme Court. In these cases the judge has decided to rule and issue his sentence, the last one was issued within three days of the hearing. This is obviously good news for clients, as it will speed up the legal process no end. 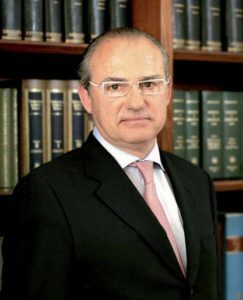 Another lawyer known to these pages has now started to publish the results of his cases, Javier Correa, who at one time worked with Miguel Rodriguez Ceballos of Canarian Legal Alliance. With the news that Javier is now publishing his results does go to prove that what timeshare companies such as Anfi, are stating that these are all fictitious cases is not true. They are a matter of public record, Inside Timeshare even published links to the official website where these case files can be accessed. News has just been received on the EZE Group case, Dominic O’Reilly and Stephanie O’Reilly his daughter, are to appear at Birmingham Crown Court on Monday 30 April 2018 for sentencing. This will be good news for all those EZE Group clients who have been taken in by this company. One question which we will ask, is how will Birmingham City Football Club deal with this, after all EZE Group are linked to them and also have a stand named after them? As we were about to publish , we went to check some details on the EZE Group website, the account has been suspended and cannot be accessed. More news on this next week. My visit to America from my home in Poland to attend an Arbonne conference turned into a travel dilemma after I signed a contract to purchase a Sampler product from Diamond Resorts. I signed a contract to buy 20,000 Diamond Sampler points for $4,000. Two hours after I signed the contract, I decided I had made a mistake, so I went back to cancel. I was alarmed to read that this Sampler product has no cancellation period, even though I had found on the internet Nevada has a seven day cancellation period. I feel this is a very unfair business practice. As a foreigner in a foreign country, I did not know where to turn. I reached out to Inside Timeshare and the Diamond Member Sponsored Advocacy Facebook for help. 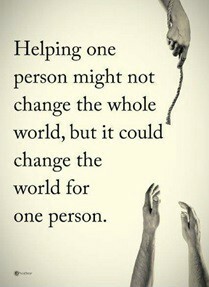 I will be eternally grateful to have found them and their pro bono help in all this will not be forgotten. 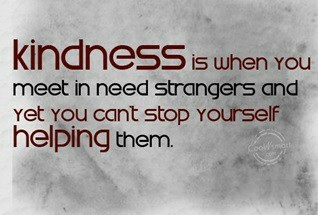 This is what restores my faith in humanity. As you can see, we were having a great time in America until I realized I had made a mistake buying something I really did not understand. Irene Parker from Inside Timeshare directed me to the Diamond Resorts Consumer Advocacy department. I told her about the high pressure sales presentation I attended. Irene explained that Diamond has introduced a program called CLARITY that promises no high pressure and that I should explain to that department what happened. When I went back two hours after I signed the contract to cancel, the office was closed. The next morning I went back again and was asked to write down the reasons why I wanted to cancel so the agent could send this to Diamond corporate. The agent I spoke with assured me I would be refunded, but I was worried. Irene explained that Timeshare Advocacy Group™ advocates have helped 404 timeshare members because reports indicate there is no enforcement of timeshare regulations in Nevada and a few other states. She suggested I submit an article to Inside Timeshare about my experience. She sent my article to Diamond Resorts for comment to see if someone might reach out to help me end this ordeal. Someone did so my trip to America ends with many new Facebook friends and a timeshare issue resolved! The Federal Trade Commission released complaint statistics and timeshare made the highest dollar amount. The amount of $1,700 seems low as timeshare member reports from members reaching out to Inside Timeshare include members losing money in amounts ranging from $25,000 to $400,000 or more. I’m so embarrassed! I feel so stupid! We haven’t told our kids! The Federal Trade Commission has released statistics on complaints and other problems reported in 2017. Some came directly from consumers, while others originated with law enforcement agencies and other organizations, including the Better Business Bureau. The FTC received 2.7 million reports in 2017, a slight decrease from 2016. However, the amount of money people reported losing to fraud increased 7.5 percent to $905 million. The true numbers are much higher since many people don’t report being defrauded because they’re embarrassed, afraid, or don’t know where to turn for help. Abusive or fraudulent debt collection calls were the top source of complaints in 2017, representing 23 percent of all reports. Identity theft, led by credit card fraud, and impostor scams rounded out the top three. 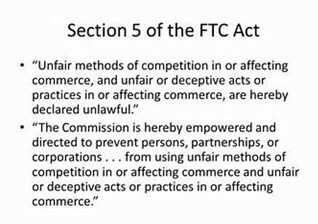 For the first time, the FTC broke out the numbers by the age of the person filing the report and the results mirror what the BBB has found in analyses of complaints it receives. Younger people reported losing money to fraud more often than seniors, but seniors suffered a greater dollar loss. The median loss from all types of fraud was $429. Travel, vacation, and timeshare frauds were the most costly with people losing a median amount of $1,710. The FTC also broke out fraud losses for members of the military and found their median fraud loss to be 44 percent higher than the general population. Florida had the highest per capita rate of reports to the FTC, at 993 per 100,000 population. Tennessee came in 10th at 649 per 100,000 and Mississippi was 27th at 514. North Dakota had the lowest ratio at 277 per 100,000 population. Inside Timeshare will walk with Alicja until her issue is resolved or foreclosed. We’re checking into whether defaulting on $4,000 will have any great effect on her credit report in Poland or create any problems coming to America in the future. Thank you Alicja for your contribution, Inside Timeshare and all the team who work with Irene are very pleased to have been of help, we are glad that your trip has ended with a host of new friends and we wish you luck for the future. If you have any comments, questions or concerns about this or any article published, or need help to decide what to do and who you can trust, then use our contact form and Inside Timeshare will get back to you. This week Friday’s Letter from America tells the story of army veterans Gad & Noreen Liebmann, it begins with an open letter to the Diamond Resorts CEO Michael Flaskey, then goes on to explain their experience. They are currently holding a protest outside Diamonds Daytona Beach Resort, the article was edited by Inside Timeshares Irene Parker. First we have a quick look at Europe. Yesterday Canarian Legal Alliance published in their news section a case study of a recent trial, nothing unusual there, except this had a rather different twist. 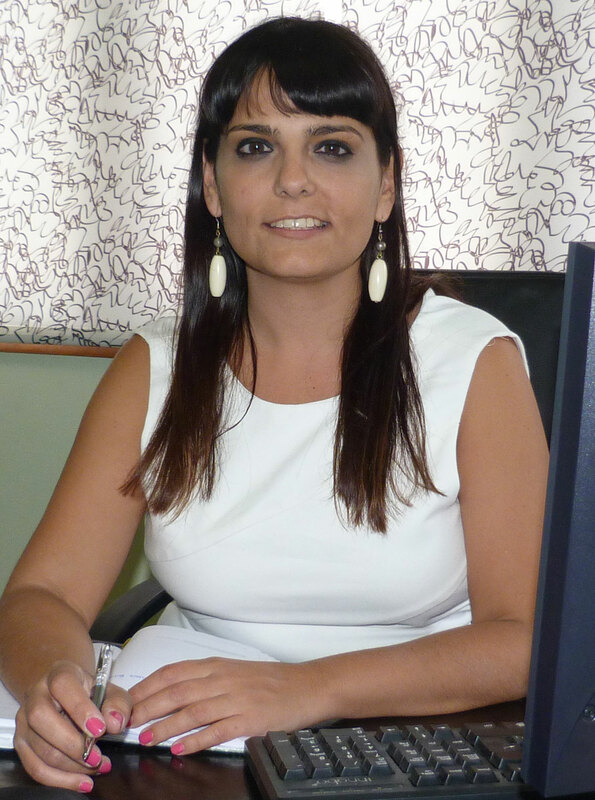 This particular trial was dealt with at the pre-trial stage rather than the full trial, the venue was the Court of First Instance No 1 in Maspalomas, the lawyer representing the clients was Judith Diaz Pascual of CLA. The pre-trial is a formality where the defending party may argue why the case should not be accepted, it is also a point where the judge will ask if there is a possibility of a settlement out of court. Usually the judge will then decree that a full trial date be set, with the defendants demanding the appearance of the clients. As there was no agreement that day Anfi, the defendants, asked for a full trial to take place with the clients in attendance, CLA lawyers argued that this was not necessary as the case and infringements of the timeshare laws was based on documentation, so there was no need for a trial or for the clients give testimony. The judge agreed, he stated that he would issue a resolution after the preliminary hearing, three days later the judgement was issued. The judge concluded that due to the infringements which included, floating weeks and the taking of deposits within the cooling off period, the contract was declared null and void. Anfi were also ordered to repay over 49,000€ which included double the deposit paid, the court also awarded legal interest. Apparently this is now becoming more common, it is not the first case to be dealt with at the preliminary stage, it will only be a matter of time before more judges decide that this is the best course. After all the cases are based on the contracts and documents, if the timeshare company has sold floating weeks or points, the contract is longer than 50 years and any payment taken within the cooling off period, these are breaches of the law, so why prolong the issue with a full trial? While picketing yesterday one of the salesman came down to talk to us. He brought some water and wanted to “thank us” for picketing. He claimed that our presence increased their sales. He also told us that we could have more effect by working as greeters at Walmart and using the money earned to help pay our dues. Inside Timeshare has received 375 Diamond Resorts complaints from our readers, Diamond members alleging they were sold or up-sold by fraud. Families are devastated. Platinum member #29 contacted us April 16, 2018, a disabled Vietnam veteran, age 71. He says they were told by a Florida Mystic Dunes sales agent if they purchased additional points it would take care of maintenance fees. Now they too are forced to foreclose or walk away from their points. We hope AARP takes note. “Clarity seeks to build on Diamond’s already impressive standing with its members. Almost 70% of the company’s sales are to existing members seeking to increase their Diamond resorts vacation memberships,” said Mr. Flaskey. Mr. Flaskey, We are one of 29 Platinum member families alleging we were upsold by fraud. We have been Diamond members for 20 years, but we made the mistake of believing Brad Leslie at Daytona Beach Regency. So did Sheilah and Thomas Brust. We did not know about Diamond’s official policy, “We’re not responsible for what our sales agents say.” What kind of accountability, transparency and RESPECT for your customer is that? There are over 1,200 members on our Diamond Resorts Owners Advocacy Facebook, many alleging fraud. 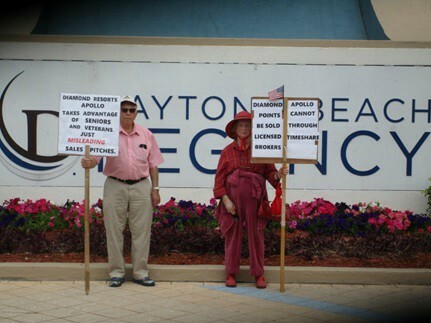 Gad and Noreen Liebmann protesting outside Daytona Regency – Sheilah and Thomas wish they were here but Sheilah is too busy with tax season. My wife Noreen and I have been protesting outside Daytona Regency for the last month. We are Platinum Diamond members. We own 96,000 Diamond points only because we bought an additional 25,000 points to take advantage of a program that did not exist. We are not confused. Sheilah and Thomas Brust are not confused. Sheilah has an accounting background. Sheilah Brust does not get numbers confused. We had purchased eight Diamond contracts over 20 years and had been happy Diamond members until Daytona sales agent Brad Leslie sold us 25,000 points November 22, 2017, we allege by fraud. Brad told us that if we purchased 25,000 additional points for $70,000 we would get additional benefits. He showed us how using these benefits, we might not have to pay more maintenance fees if we used the same amount of vacation time. What Brad Leslie neglected to tell us was that we were already eligible for these benefits. He knew this. The calculations shown to us were false. Sheilah has a copy of Brad’s “Pencil Pitch” promising her double points. He also claimed that we could recover the cost of the additional points after 10 years. This was also false. Brad made it sound like these were new benefits that could only be obtained by purchasing additional points. Brad said that we would be even on the $70,000 within ten years if we only booked through Value Getaways. When we returned home we learned booking vacations using Valued Getaway and Point Saver were already available to us. We appealed to the local DRI marketing VP. He was unsympathetic. A call to Michael Flaskey, CEO, who leaves his card at every front desk, got a response from a lady who offered to allow us to give back some of the points we purchased in the past, lowering the dues but not eliminating the latest purchase. In other words, give back points we already paid for, requiring us to pay the company $70,000 after being sold points we didn’t need because of a convoluted scam. We may be older, but we’re not stupid. We feel we meet the FBI definition of white-collar crime, “deceit, concealment, violation of trust, bait and switch”, in addition to Elder Abuse. Veteran Teresa Laird is planning to protest outside DRI Polo Towers. DRI sales agents tried to sell her dad, at age 83, in a wheelchair dozing off, a recipient of two Purple Hearts, $234,000 in additional DRI timeshare points. There is little to no regulatory enforcement because the Attorneys General in Nevada and Florida dismiss complaints, also falling back on the oral representation clause, or in Nevada at the Nevada Real Estate Division, “You have no proof”, so there is nothing to stop timeshare fraud. Timeshare developers are required to provide full and meaningful disclosures to purchasers in the documents they are required to deliver to them including the public offering statement, sales contract, and all supplemental documents at the point of sale. A document called “Acknowledgment of Representations” or “Purchaser’s Understanding” or a similar document provides the disclosures which each purchaser initials and signs at the time of purchase and it contains all the relevant information about the timeshare product. A developer heavily relies on these documents to refute any claims by a purchaser regarding the alleged misrepresentations. Therefore, in light of these written documents, it is very difficult to prove the allegations raised in the complaint. 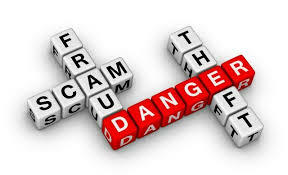 We are veterans in our late 70’s and two of 40 active duty or veteran military and law enforcement timeshare members alleging we have been defrauded by timeshare sales agents. Several are in danger of losing their Security Clearance. LICENSED timeshare resale brokers will not even accept a Diamond listing feeling it would be a waste of their time and your money, due to restrictions Diamond places on the use of secondary points LTRBA members feel are too restrictive. Sheilah and Josh contacted Florida LTRBA members. None would accept a Diamond listing. Scammers have no problem taking your upfront money. The Florida Timeshare Division, DBPR, and Diamond’s Transition department send members on a wild goose chase to contact a real estate broker, but legitimate brokers won’t accept a Diamond listing, because they are honest. I tried last night to speak with someone in Financial Services with no luck. I tried again today as well but the phone just rings and rings. I did speak with Tiffany Davis in Transitions and she said our maintenance fees would have to be paid in order to do the Transitions program. She then said that I didn’t have to do Transitions – if I wanted to gain anything from my Timeshare that I should speak to a real estate agent to get it sold. I said I was unaware this could even be done. Tiffany said “Oh, absolutely, if you don’t want to just relinquish it, you can sell it”. Sales agents should not make oral representations at the point of sale inconsistent with the Purchase document. The first part means that fraud must involve an intentional lie. If you truly believe you’re telling the truth and end up being wrong, that doesn’t qualify. That doesn’t excuse willful denial or ignorance of the truth. If you should have known the truth or could easily have discovered it before telling the lie, it could still be a problem. The second part is about the liar’s intention. A lie that you don’t mean anyone to take seriously, such as a joke or hyperbole, wouldn’t constitute fraud. When it comes to proving intent for fraud, courts often look at what the liar could gain if someone believes the lie. If the liar benefits from someone believing and acting on the lie, that tends to show intent. The legal analysis will also rely on context. A lie while you’re trying to sell your house is more likely to result in a lawsuit than a lie told over drinks at a bar. Those are obvious examples, but there are many situations in between where the line isn’t so easy to see. The third element is whether the lie actually caused harm. If the listener believed the lie, acted as if it were true, and suffered some kind of injury because of that belief, then there may be some liability for fraud. Injury can mean actual physical harm or financial loss. In general, emotional “pain” isn’t enough to build a case for fraud. While fraud could potentially apply anywhere, it’s most commonly brought up in the area of contracts when one party lies about an important part of the agreement. In general, anything other than a white lie (like how nice your spouse looks) should be avoided. Remember, a lie runs the risk of becoming fraud if you expect the listener to act on the lie. Keeping it honest isn’t just a good personal policy; it’s a sound legal strategy too. For timeshare buyers, the customer is always wrong because they signed a contract. And no one cares. Inside Timeshare has heard from 131 Diamond members alleging fraud since January 1. The company does not respond to requests for comment. Thank you Gad and Noreen, you have the support and thoughts of many timeshare owners not just in the US but also from across the great lake in Europe and beyond, also thanks to Irene once again for taking the time to edit these articles. If you have any questions, comments or need to find information on any company mentioned here or that has contacted you then use our contacts page and we will point you in the right direction. Remember doing your homework saves you money! 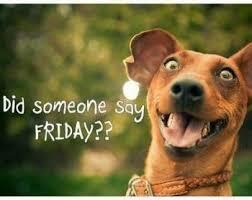 Well the weekend is once again upon us and Inside Timeshare hopes that you have an enjoyable and relaxing weekend. In Yesterday’s article on RSB Legal based in Redditch Worcestershire, looking like they have ceased trading, Inside Timeshare was contacted by Praetorian Legal, with the following information which we publish for our readers. They have advised us that Praetorian Legal had been contacted by RSB Legal in order to underwrite some of their termination business. Their statement is, if you received a Praetorian Legal indemnity document, they have advised us that Praetorian Legal will honour their indemnity and timeshare owners will remain fully covered under the Praetorian Legal Timeshare Protection Indemnity. Inside Timeshare would like to thank Gary Smith of Praetorian Legal for responding so quickly, this does show their are some companies who are willing to do the right thing. Just to finish off today, it was also announced by Canarian Legal Alliance that they have received another ruling from the Supreme Court in Madrid, this now makes 106. 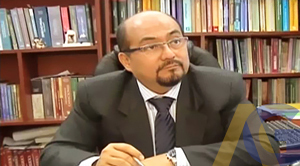 This case involving clients from Norway was against Palm Oasis / Tasolan SL, the lawyer representing them was Miguel Rodriguez Ceballos, CLA’s senior lawyer. The interesting fact about this particular case is the Escritura and the registration of the timeshare at the Property Registry. By registering they were trying to treat the timeshare as property thereby attempting to circumvent the timeshare laws, making then non-applicable. The court disagreed and declared that timeshare law was applicable. The court declared the contract null and void awarding the return of over 16,000€. One of the infractions of the timeshare law was the length of the contract, being more than 50 years. (PDF of the court ruling is below). In tomorrow’s Letter from America we shall be running the story of Gad and Noreen Liebmann, both army veterans and their experiences at the hands of Diamond sales agents. They are currently staging a protest outside Diamond’s Daytona Beach Resort. So do join us tomorrow, it is a story that will make your blood boil! Inside Timeshare is here to inform you of what is happening in the murky world of timeshare, bringing you the news from the courts, the US and beyond bringing timeshare owners around the world together. We also publish articles about different companies and how they operate, inform you of the fake law firms and what to look out for,so you have the facts who to trust. If you are unsure about any company that contacts you or one that you have found searching on the web, contact Inside Timeshare and we will help you find out. Claims and Relinquishments: Who Can You Trust? Just recently Inside Timeshare has been receiving many enquiries regarding RSB Legal, mostly Club la Costa members, they have all been the same, “have they gone out of business as we cannot contact them”? What were RSB Legal doing? The “service” they were offering was cancellation of timeshare contracts and compensation claims on a no win no fee basis, sounds good does it not? Only problem is that to make the claim the client must pay thousands to cancel the contract first, once the client is out of the timeshare they would then do a claim. Only one problem here, how is the claim to be made? As most of the timeshares were purchased in Spain, then Spanish Timeshare Law applies, this is where the problem lies. Once the timeshare has been cancelled, it is not possible to take the claim through a Spanish Court, there is no contract in existence, therefore no claim. Goods and services not received, the company has gone into liquidation, (therefore you will not receive the goods or services), faulty goods or goods not fit for purpose. Now considering that many have used their timeshares, the timeshare company will argue with your credit card provider that you have used the goods and services, after all you have booked holidays! Section 75 does not cover a timeshare for contravening Spanish Timeshare Law, for instance, the illegal taking of deposits or full payment within the 14 day cooling off period, contracts with a duration of more than 50 years or floating weeks and points systems. The only way to claim for these breaches and have the contract declared null and void, that is different to being cancelled, is through litigation in a Spanish Court. Also not all contracts will be claimable, there are cases which will not be accepted either by a reputable law firm or the courts. “Since February 2016 CLC World (‘CLC’) has been receiving identical ‘copy’ correspondence, from companies called ‘Taylor Marshall’ and ‘RSB Legal’ in respect of some of our Members. Regardless of the holiday product held by the Member or their membership history, the only change to each letter is the name of the Member on the top of the correspondence. Furthermore, the correspondence was initially near identical to those received from other claims companies against whom the UK authorities are now taking legal action. Over the last 2 years, CLC has consistently advised Taylor Marshall and their associated company RSB Legal that we will NOT accept their correspondence as correct notification to “TERMINATE” any CLC World membership. CLC World has an established free of charge exit strategy in place for all CLC Members and we do NOT accept Surrender or Relinquishment notices from third party claims companies. Despite this, Taylor Marshall (RSB Legal) continue to falsely claim that they are successful in somehow ‘forcing’ CLC World to release members from their contracts. This is simply untrue. CLC will only complete a Surrender Request when processed direct with the CLC Member. We have seen Taylor Marshall’s so called ‘Contracts’ that state that Members should not speak with CLC World or they will face financial penalties. We understand that this, unnecessarily worries many of you, and if this is the case, may we respectfully suggest to you that you contact either the CLC World MS Legal team OR one of the well-established organisations we refer to below for advice. Unfortunately, there are many ‘Third Party Claims’ companies who encourage people to ‘sign-up’ with them by making false claims about their membership. Many of these companies are linked to each other and we are glad to report that more and more the UK Authorities are taking positive enforcement action on behalf of individuals who have become involved with these companies”. Why would Taylor Marshall’s contract state that members should not contact CLC World or face financial penalties? Could it be they don’t want you to find out that your contract has not been cancelled? Are they that nieve that you will not find out, after all you will end up getting demands for maintenance fees? CLC are not the only company that hold this position, many more are taking the same line, Diamond have a policy in place, one is exceptional circumstances which cover those over 75, death of a partner, financial hardship and medical. If the member does not fall into this then they have the possibility of relinquishing on payment of 2 years maintenance. We now have another problem, as the work has not been done is there a chance of getting the money back under section 75? If this was paid partially or in full on a credit card there is a possibility, the problem is that RSB Legal will claim as they do not actually do the relinquishments but contract them out to a third party, Taylor Marshall, they have fulfilled their contractual obligations. After all the claim is no win no fee! Now that RSB Legal cannot be contacted and there is a proposal to strike off, the possibility of claiming may come under “the company is no longer trading”, so a claim may be possible. Whether they are UK based or Spanish based companies, there are many more who use the same method of extracting your money, the only safe option is to do your homework before paying any money. If you do pay never do so by any other means than a credit card, that way at least you may just be able to get the money back. If you have any questions or concerns about any company that has contacted you with a similar “pitch”, contact Inside Timeshare and we will be pleased to help and point you in the right direction. This week’s Tuesday Slot is not from Inside Timeshares very own Irene Parker, but has been contributed by Meryl Reyman another new contributor, today she highlights the problems in Nevada. First we have a look at the timeshare world in Europe and the latest court cases. The first is another ruling against Silverpoint in Tenerife, the main points are the illegal taking of deposits and the contract being over 50 years in duration, the sentence which can be seen in the PDF below runs to 15 pages and shows even more infractions of various laws not just timeshare law 42/98. The court declared these clients contract null and void, awarding over 34,000€ plus legal interest. The second Supreme court ruling is yet another against Anfi, at the moment we do not have details on what the infractions were, but the court again declared the contract null and void with the return of over 78,000€ plus legal interest. These rulings from the Supreme Court are the proof the timeshare companies are losing, despite what they and others may be telling the public. Now for our Tuesday Slot by Meryl. A retired attorney and former senior executive of a large marketing/advertising agency located in New York City. I am now a resident of Henderson, NV. During a recent stay in Las Vegas my husband and I attended a hard sell timeshare sales presentation. After 5+ hours of promises, and a 15 minute perfunctory signing of extensive opaque written documents, we went home with a contract only to discover that very little of what was said over those five hours was in the written documents. We successfully rescinded the contract. Since timeshare sales agents rely on the vacationer not taking the time to review documents, we were lucky that we lived in the area and had time to catch the concealment. The FBI defines fraud for profit as “deceit, concealment, violation of trust, and bait and switch.” Oral misrepresentation fits the bill. And so does deceit and concealment if new purchasers cannot access the booking website until after the expiration of the rescission period. Many complainants tell us they can’t determine the value of their purchase until they’ve passed the time period to cancel. Given the perpetual nature of the timeshare contract, the lack of a viable secondary market, and rising maintenance fees, consumers can find themselves stuck in a hamster wheel of “recycled inventory” with points foreclosed or taken back, only to be sold again to the next unsuspecting vacationer. Of course there are many who use and enjoy their vacation points. I’m sure there are timeshare sales agents selling the product honestly, but the escalations in timeshare company default rates, lawsuits and the number of Attorneys General investigations (TN, MO, AZ, CO, NY, WI) indicate a serious problem. Are we in timeshare haven Nevada going to allow deceit to continue by dismissing families with, “you have no proof”? I hope not. If you are in agreement, we need your help. We are launching this media campaign to alert and educate the timeshare consumer, because the Court of Public Opinion seems to be the only court open if you bought timeshare points in Nevada. After our experience I started digging. I learned that timeshare deceit has been ongoing since before Social Media. I have decided to use my skills to advocate for timeshare reform. This is not a one company problem. In my opinion, and it is the opinion of 44 timeshare advocates from our Timeshare Advocacy Group™, timeshare, and especially the point-based timeshare system, has evolved to encourage and allow sleight of hand, predatory sales. Timeshare Advocacy Group TAG has had a hard time keeping up with the flood of complaints. TAG has received 136 timeshare complaints just since January 1, 2018. Most of these complainants have reached out to the Nevada Attorney General and the Nevada Real Estate Division, where the timeshare companies and their agents are licensed to do business, to no avail. Timeshare sales agents know they are protected by their corporate goliath. One vice president endorsed this by responding to one member, “Our Company is not responsible for what our sales agents say.” In actuality, there is proof, if the Nevada authorities would simply aggregate the complaints. They would then see the weight of allegations of deceitful sales practices that, because of their similarity, appear to be orchestrated from the top down. Delaying delivery of important information so that the legal contract rescission period is undermined. Several complainants could not get onto the website until after close of escrow to determine the number of points actually needed to go to their desired destinations. Feeling pressured into high interest rate loans (12% to 18%) and higher interest rate credit cards. Claiming that timeshare points will increase in value over time!! In fact, a class action lawsuit has been filed to fight this “investment” claim. For many timeshare points, there is little to no resale value. Roy and Lillian Simmons, in fear of losing their home, up-sold to $2,700 a month in timeshare loan payments, living on Roy’s letter carrier pension. Raymond Mori, recipient of two Purple Hearts, 23 years a Marine, at age 83, in a wheelchair, told to buy an additional $234,000 in additional timeshare points. Teresa is sure her parents would have signed if she had not been with them. Do not believe anything a timeshare sales agent says in Nevada. If you do intend to do business with a timeshare sales agent, make sure they put promises in writing. Thank you to Meryl for her advocacy efforts. If you or someone you know needs help with a timeshare concern contact one of these self-help groups that Inside Timeshare feels is not industry influenced. Thank you Meryl for your contribution and also Irene for the editing, we also once again thank all the volunteers who give their time effortlessly to help other timeshare users in trouble. 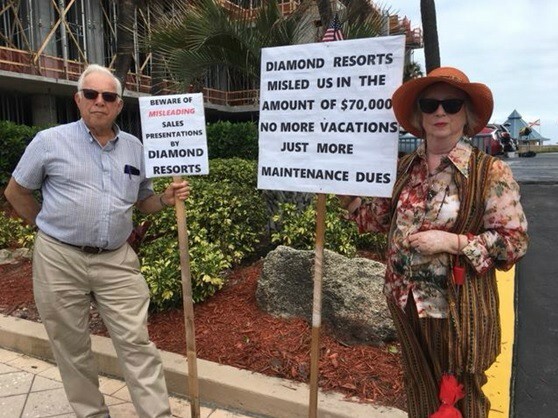 In this Friday’s Letter From America we will be highlighting the story of Gad and Noreen Liebmann, who are currently staging a protest outside Diamonds Daytona Beach Resort. We are through Inside Timeshare readers and those on the various facebook pages receiving many messages of encouragement and support for both of you. We will obviously be keeping our readers posted as the story unfolds. If you have any questions, comments about any article published, or need any help in identifying any company that has contacted you, use our contact page and ask Inside Timeshare. We are here to help and point you in the right direction. News has just come in from the Bournemouth Daily Echo, the trial against Francis Madden, Claire Garland, Keith Furneval and Jean Furnaval, regarding a timeshare fraud which ran for several years has started. Their company Central Marketing Ltd, defrauded thousands of pounds in selling bogus holiday clubs and other products. The trial is expected to last at least six weeks, for the full story see link below. This weeks Letter from America by Irene Parker reviews the results for the First Quarter of this year, judging by these figures the rest of the year is definitely going to be busy. But first we have a look at what has been happening in Europe. Canarian Legal Alliance announced this week their 100th Supreme Court ruling, this achievement has made Spanish legal history, especially in the field of timeshare litigation. Within days of this announcement, CLA also received numbers 101 and 102 judgements. The three rulings declared the Silverpoint contracts null and void with over 63,000 Euros being returned to the clients plus legal interest. There was also a High Court ruling from Tenerife, again against Silverpoint, resulting in the contract being declared null and void with the return of over 14,000€ plus legal fees and legal interest. No doubt the clients, lawyers and staff at CLA are celebrating. All this week Inside Timeshare has been running article on the “Fake Law Firms” operating out of Tenerife, identifying many of the photographs of “their lawyers” posted on their websites. 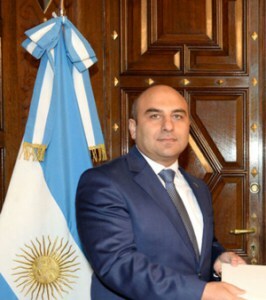 We have shown 2 US lawyers, 2 Australian, several Spanish lawyers, 3 of which are from the same firm, An eminent Peruvian lawyer, Chilean, Columbian and the most surprising of all was the Azerbaijani Ambassador to Argentina. First quarter results are in. Inside Timeshare received 116 US timeshare complaints since January 1. Remarkably, there have been nine positive outcomes (loan cancellation and/or refund) and eight resolutions – relinquishment or an answered question resolved the dispute. Timeshare resolution within three months is unusual. This fast-track resolution saves the timeshare member legal fees and the timeshare developer legal or arbitration fees. We have kept many members out of the nets of “guarantee you a timeshare exit” scams created by the industry when licensed timeshare resale brokers won’t accept a timeshare listing, if they consider the timeshare worthless on the secondary market. Scammer listing agents will take your money and run, not caring if your timeshare sells. Inside Timeshare has received 381 timeshare complaints since we began tracking complaints late 2016, so 116 complaints received since January 1 is an extraordinary jump in complaints (or readership). Timeshare members contacting Inside Timeshare have witnessed little interest from Florida, Virginia, California or Nevada Attorneys General timeshare divisions, assigned to enforce or not enforce timeshare regulations. 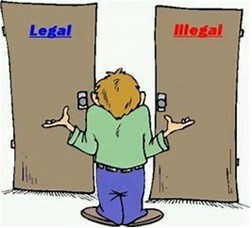 Regulations may be in place, but seem to be little enforced. The Florida Timeshare Division dismisses timeshare members with, “Verbal representations are hard to prove,” and Nevada dismisses criminal allegations with, “You have no proof.” Based on one such response received by one Florida resident, we now know why the Florida Department of Business Practice and Regulation DBPR only acted on 110 out of 2,360 timeshare complaints filed from 2012 to 2014. One of our advocates is researching more recent numbers through FOIA. Regulations are one thing. Enforcement is another. However, Attorneys General who have initiated and closed investigations against timeshare developers in 2016 and 2017, achieving settlements, did not buy into “You have no proof” or “You signed a contract.” These Attorneys General include: NY, CO, AZ, TN, MO, WI, NC, and the Florida DBPR, sources say, is investigating The Berkley Group (Vacation Village). Timeshare members have been reaching out to the FBI, because most allegations meet the FBI definition of white collar crime “deceit, concealment violation of trust, bait and switch.” One FBI agent contacted and met with one of our Diamond Advocacy Facebook members. Teresa Laird, on behalf of her parents, Raymond and Teresa Mori, Mr. Mori age 83, 23 years a Marine, disabled. Raymond Mori earned two Purple Hearts, now facing timeshare foreclosure. Teresa says she asked DRI to cancel a Sampler trial product sold to her parents, but says instead the company by phone sold Mr. and Mrs. Mori another 17,000 points, saying they took care of it by attaching it to another program. Angela Sandstede on behalf of her parents Roy and Lillian Simmons, Mr. Simmons a Navy veteran, retired letter carrier, upsold into foreclosure, now in danger of losing their home. Their monthly DRI payment is $2,750 a month. They live on Mr. Simmons letter carrier pension. We know the members above have suffered substantial injury. The gray area is “not reasonably avoidable” so the answer is a determined and pervasive media outreach to educate the general public on the fact that when they buy a timeshare product, they are signing a perpetual contract, with rising maintenance fees, and virtually no secondary market. Not one of the 381 families that have reached out to us since late 2016 knew this. 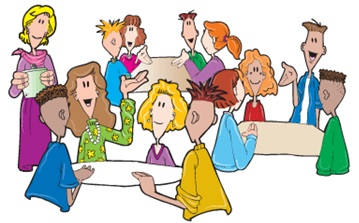 Contact Inside Timeshare or a non-industry influenced self-help group if you need help with a timeshare concern. Thank you Irene and all those volunteers who give up their time to help others, the world of timeshare needs people like you. If you have any comments or questions about any article published or just need some help in deciding which company is genuine, then contact Inside Timeshare through our contact page. 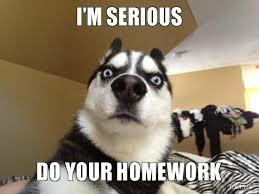 We will help point you in the right direction, Remember doing your homework will save you money in the end. Have a great weekend and join us again next week for more news and information on the murky world of timeshare. This week Inside Timeshare has been highlighting the “Fake Law Firms” which are part of the Litigious Abogados Family, today we publish more identities of the genuine people whose images have been used. 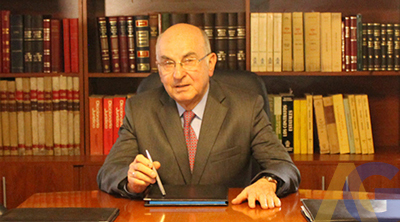 We start with Amador Ganeca Abogados, when you enter the website the first photo you see is of the “founder” called Amador Ganeca, this gentleman is in fact the founder of Yáñez & Asociados Abogados, Álvaro Yáñez. This law firm is based in Bogotá, Columbia, it has been in existence for 35 years. There are another four “lawyers” pictured, so far only one has not been identified, the first is known as Simone Maengas Arlovaz, very similar to the name used for the image of Joshua Valentine in yesterday’s article, Simono Maenga Arlovas, from Amador Galeca Abogados. 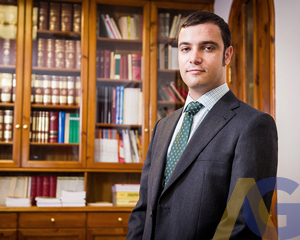 The actual person is Alejandro Aparicio Ferrer, of the Valencia based firm Aparicio Consulting Juridico – Económico. We then have Balthazar Hermid Nisbemas, again a very similar name Balthather Hirmod Nisbelam, from the same Amador Galeca website identified as the Australian lawyer Steve Cardell. 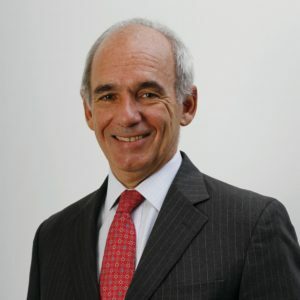 The actual person is Diego Muñoz one of the founding partners in the Muñoz Tamayo & Asociados, from Bogotá, Columbia. He is also President of the Colombian Legal Services Chamber of the ANDI Association, so another very eminent person whose image has been used illegally. The last one from this “fake firm” is Domingo Varlotes Biriendel, whose is actually Dr. Augusto Arbaiza Perito Grafotécnico Abogado – Criminalista, a distinguished lawyer in Peru’s Capital Lima. The original photograph was probably lifted from the website below. We now move to Amador Gareca Abogados, this website is no longer accessible, which is not surprising as we did highlight this “firm” in June 2017. 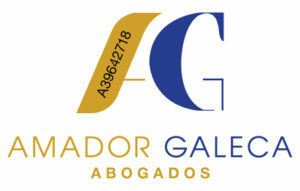 The image and name used for the founder of this “firm” is Armando Garcia, none other than the above named Álvaro Yáñez, of Amador Ganeca Abogados. 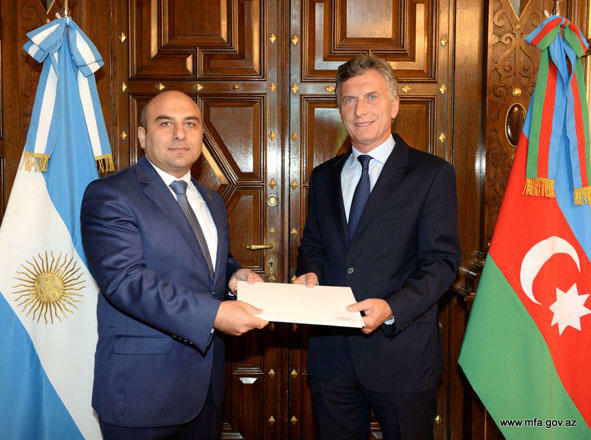 The next image is named as Agustin Bigote Pringata, it is in fact the Azerbijan Ambassador to Argentina Rashad Aslanov, the photo is actually doctored from the official photo of him presenting his credentials to the Argentinian President Mauricio Macri. 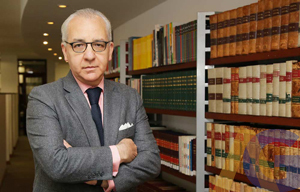 Once again the same image used on the Amador Ganeca website for Simone Maengas Arlovaz, is named here as Domingo Barlotes Miriendel, who is Alejandro Aparicio Ferrer, of the Valencia based firm Aparicio Consulting Juridico – Económico. The last is named as Juan Firmid Mantadiz, but again the same image is used on the Amador Ganeca website, using the alias Balthazar Hermid Nisbemas, it is once again Diego Muñoz. As you can see, the creators of these “fake firms” have been very creative with choice of names and the careful use of images, using ones which look distinguished and trustworthy. Obviously a lot of effort went into searching for the images, but this really does go to show how you cannot trust everything you see on the internet. If you have been contacted by any company or are thinking of taking on any services regarding your timeshare, contact Inside Timeshare, we will be happy to point you in the right direction in finding the genuine firms from the “fake”. Following on from our previous articles regarding the “fake law firms” we today highlight two more and identify the actual persons whose images have been used. The first is, Abogados Canarias which is part of the Litigious Abogados family, we have now found new identities from the photographs they have used on their website as their lawyers. The first is the so-called founder of the company Manuel Cilavoz Varintos, who is in actual fact Carlos Magnanini the Global Account Manager for the Argentinian company Clarke Modet & Co Argentina SA. Another photograph on the website named as Fernando Siltal Crostena is actually another Argentinian, Doctor Jaime Leonardo Kleidermacher of A. Kleidermacher Abogados & Consultores. He graduated from the University of Buenos Aires in 1986. 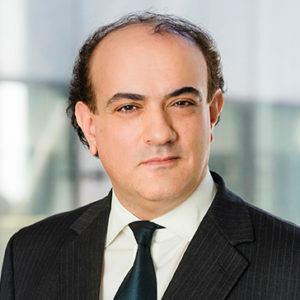 The photograph of Juan Cretedos Dolabaris has not been fully identified, but it is believed to be an Italian lawyer called Pasquale Frisina Roma. The search for this one continues. 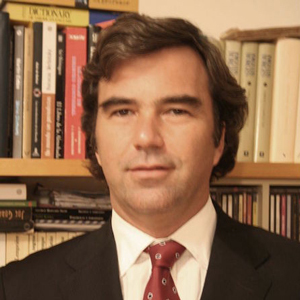 The third lawyer pictured Manolo Derban Ferolita has so far not been found on any searches. Another of the “fake” law firms is Amador Galeca Abogados, which we highlighted in September 2017. The so-called founder of this company is named as Amador Malodan Galeca, he is in fact Emilio J. Zegrí Boada, from the Spanish law firm Zegri + Olivar, based at Avenida Diagonal, 606, Principal 1ª 08021 Barcelona. 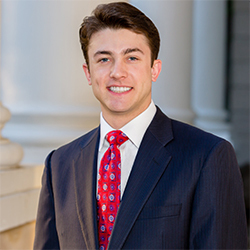 Another lawyer whose image is being used is named as Simono Maenga Arlovas, he is in fact a young but distinguished lawyer named Joshua R. Valentine, from the law firm Caulder & Valentine based at 1157 E Marion St Suite 4 Shelby, NC 28150. tel:704.470.2440 .704.754.8401 (fax). We now have two lawyers from the Amador Galeca website from the same law firm, Clarke Kann Lawyers from Australia, this firm has two offices based at Level 7, 300 Queen Street Brisbane QLD 4000 Australia and Level 4, 9 Castlereagh Street Sydney NSW 2000 Australia. 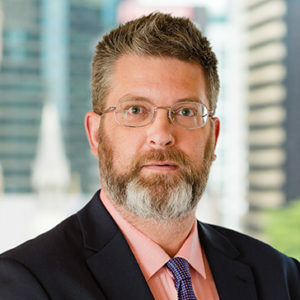 Then there is Balthathar Hirmod Nisbelam, who in fact is Steven Cardell, a Partner in the firm and based in Brisbane. So there we have it, not only are these “fake” firms forging official documents, using official logos illegally but also using photographs of genuine lawyers without their knowledge, although they will know by the end of today. Inside Timeshare is here to help you get to the truth, if you have had any contact from any of the companies named in these articles use our contact page and let us know. Remember these are not genuine law firms, they exist only to take your hard earned money from you.